Dr. Stephen Pratt (Stevo) is currently assistant professor for the School of Hotel and Tourism Management at The Hong Kong Polytechnic University, a career he has chosen to mix his love for travel with his research skills. Dr. Pratt has traveled broadly to 61 countries to date, and has lived in Australia, Hawaii, United Kingdom and Fiji prior to moving to Hong Kong. He has a background in economics, completing a Bachelors of Economics from the University of Sydney and a Masters of Economics from the same institution. 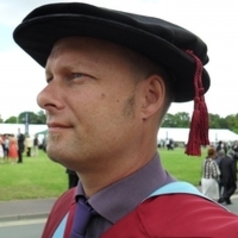 His research interest include sustainable tourism and the impacts of tourism, especially in developing countries.